I’ve always loved playing video games and this series of fan arts called « Gaming Painting » aims to pay tribute to these awesome games. 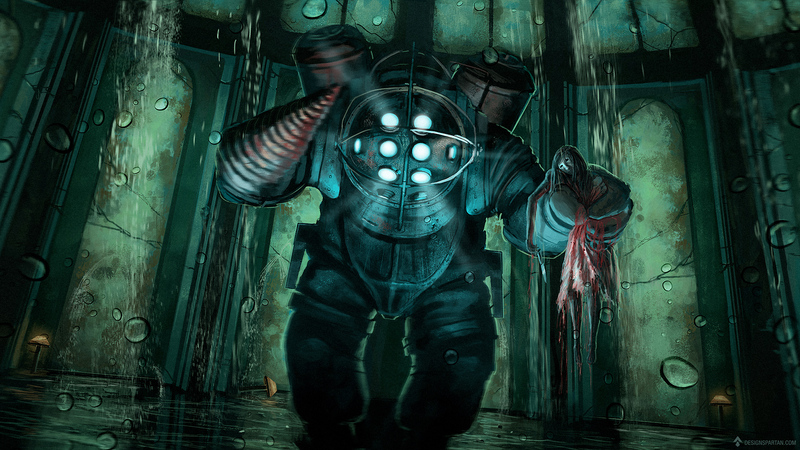 The second one highlights a dangerous Big Daddy from the video game Bioshock. I recorded the whole process in a video if you’d like to watch it.